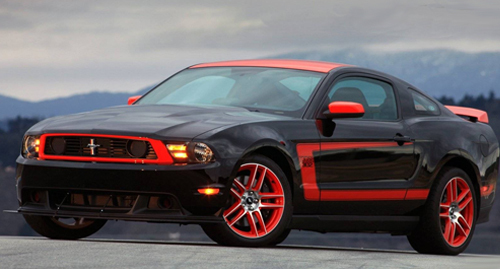 Learn everything you need to know about the famous 2012-2013 Ford Mustang Boss 302 specs, horsepower, and features. 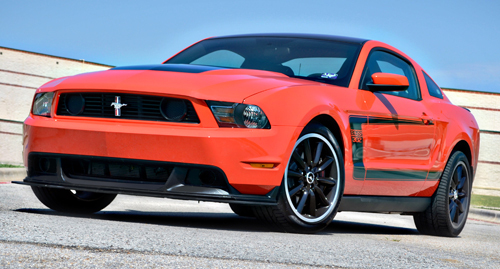 If you are looking for, arguably, the best-to-date Mustang ever built, look no further than the 2012 and 2013 Boss 302! 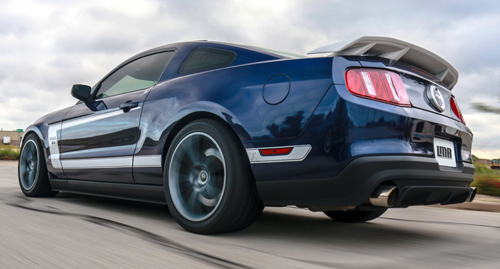 Changed were made compared to the Mustang GT were higher-rate coil springs, a larger diameter rear stabilizer bar, and stiffer bushings. The body is lowered 11 mm up front and just 1 mm out back to give it a more raked stance designed to resemble the original cars from 1969 and 1970. 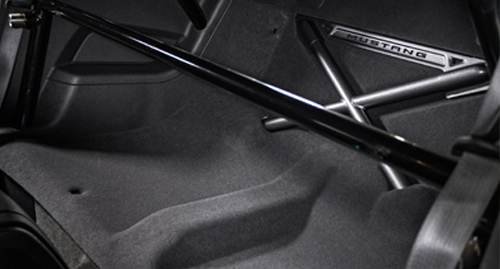 Also, the shocks are easily adjustable at the shock tower by simply using a flat head screwdriver. The standard Mustang GT’s Electronic Stability Control and Traction Control have been modified with a new intermediate sport mode designed to allow for more flexibility on the track. 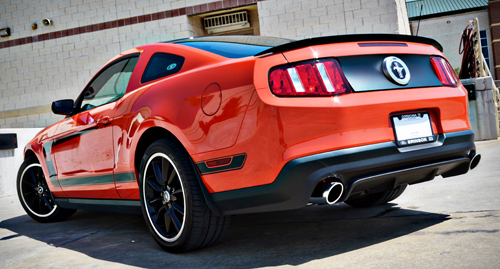 What really made this car special was the Revision to the Coyote 5.0 resulting in the 302’s “Roadrunner” engine. 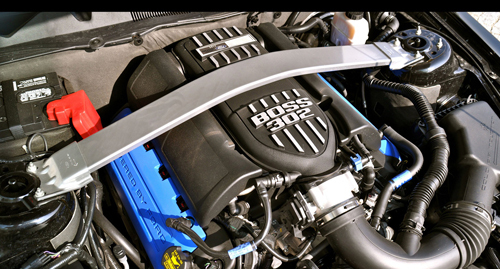 Changed to the engine include a forged rotating assembly, CNC ported heads, camshafts revisions, and a high flow intake manifold taken from the 302R racecar with BOSS 302 slapped on top. The exhaust was also unique to these cars as there was side-exit Tailpipes with removable baffles. 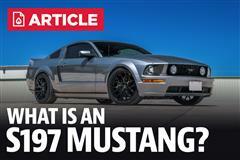 The result in power was 444 horsepower at 7500 RPM, 32 HP more than the standard GT’s 412 HP. The engine did lose about 10 lb·ft. 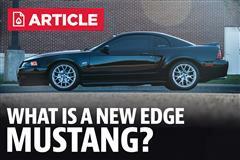 of torque, rated at 380 lb·ft, compared to the Coyote in the 5.0. 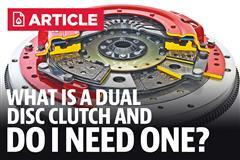 The Gearbox is the same six-speed MT-82 manual transmission as the 2011-14. A solid rear axle with 3.73:1 differential uses carbon fiber plates in its limited slip differential or an optional Torsen differential. As for the wheel area, 19-inch black-alloy wheels are 19x9 front and 19x9.5 in the rear. Tires are 255/40-19 (front) and 285/35-19 (rear) Pirelli P-Zero tires. 14-inch Brembo four-piston front calipers, stock 11.8-inch rear hide behind the retro wheels as a standard brake option. 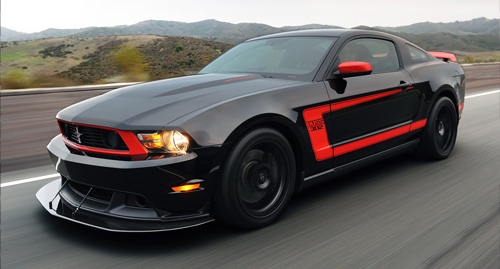 The Boss 302 Leguna Seca edition was an even more race inspired package than the original Boss. It featured a rear seat delete that included a cross brace, Recaro sport seats, Torsen limited slip differential, revised suspension tuning, a bigger rear stabilizer bar, and specific Leguna Seca edition badging and wheels, and a huge splitter! 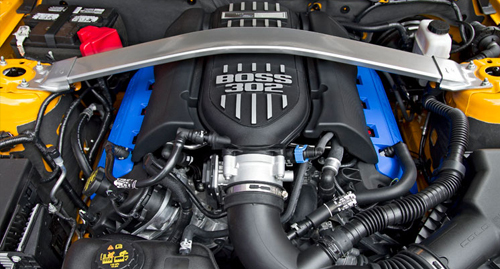 Each 12/13 Boss 302 will come with an all-black key that will start your car just like any ol’ Mustang. However, buyers wanted to get the Boss at its full potential, the RED TracKey is the answer! 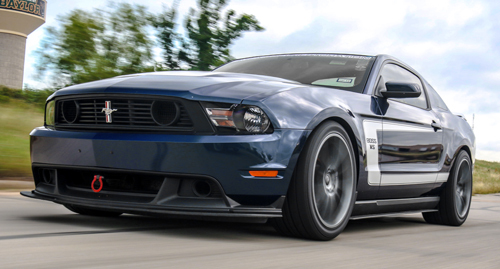 TracKey will give you a second set of PCM software parameters which alters more than 200 engine management systems, turning the Boss 302 into a Track Beast, increasing low-end torque and the car also received a two-stage launch control similar to that used on the Cobra Jet cars. The crazy thing is that if you want to go back to stock, all you have to do is start the car with the black key and the Boss goes back to the tame (if that even can be used) factory engine settings. 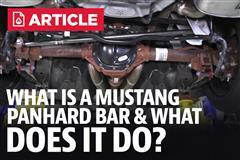 What Is A Mustang Panhard Bar & What Does It Do?